Trina Edwards with New Born Baby Boy! No matter what I write about in this crime and jail blog, one of the most popular story lines is former governor Edwin Edwards. 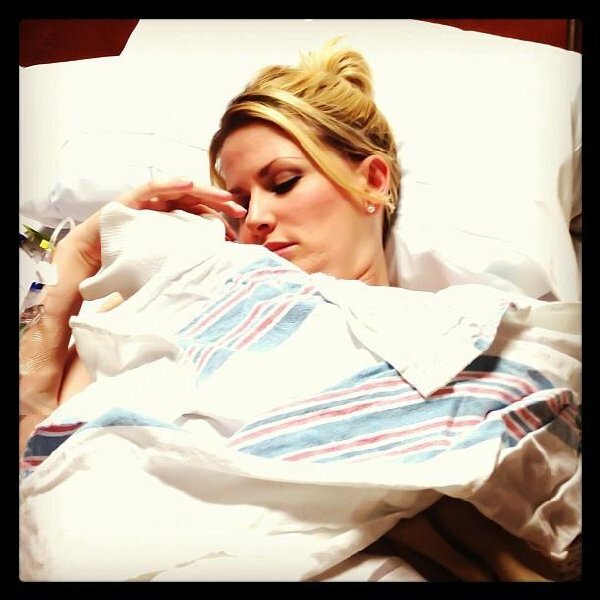 His 34 year old wife, Trina Edwards had a 6 pound, 3 ounce, 19 inches long boy, Eli Wallace Edwards! Edwin has four other children, and Trina has two. Apparently the couple utilized in vitro fertilization for the pregnancy. Eli Wallace was born at 12:52 am. He has the same initials as his dad, E.W.E. The delivery room was crowded with an A&E camera crew there to fill the birth for the couple’s reality tv show, the Governor’s Wife. The show was supposed to start airing in February 2013, but the network pushed back that date, and no new date has been scheduled. Found this impressive list of Popular TV Shows set in Louisiana. The channels include A&E, History, CMT, and Discovery. Louisiana is very popular with the reality show market, I personally don’t like most reality shows, they are a weird combination of reality and staged TV. ~ by neworleansmusicman on August 2, 2013. This entry was posted on August 2, 2013 at 2:28 pm and is filed under A&E Cable Network, Edwin Edwards, Trina Edwards.You can follow any responses to this entry through the RSS 2.0 feed.You can leave a response, or trackback from your own site. Previous: Mayor Landrieu Appeals OPP Consent Decree!! Next: Landrieu and Gusman Have $104 Million in Unused Jail Funds! !